In her popular book, Karen Armstrong called St. Paul “the apostle we love to hate.” And, to be sure, Paul of Tarsus has been the object of both veneration and intense contempt. But is it really Paul or is it a caricature of the historical figure, whom we love or hate? 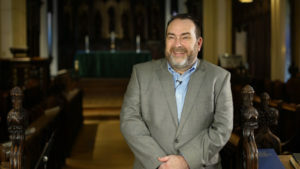 Gar Anderson, President, Provost, and Professor of New Testament at Nashotah House Theological Seminary, joins us from Wisconsin to explore who Paul was and what he said. Come here what Dr. Anderson has to say on Sunday, February 10 at 10:15 a.m. in Valentine Hall.